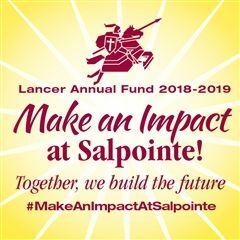 Salpointe Catholic High School is proud to recognize these 10 juniors who have earned recognition as National Hispanic Scholars by the College Board. This honor acknowledges their exceptional academic achievements, strong GPA, high scores on the PSAT and rigorous curriculum. This is the largest number of Salpointe students to receive this honor in school history. As National Hispanic Scholars, these students receive the same academic scholarships as National Merit Finalists and have an automatic acceptance into the Honors programs at the University of Arizona and Arizona State University. If they choose to apply elsewhere, the honor greatly increases their chances during the application process and can enhance opportunities for financial aid. Congratulations to Gabriel, Chase, Susan, Alexander, Paola, Martin, Stephen, Orion, Alan and Damian!